Synopsis: With the American Civil War raging on, President of the United States of America Abraham Lincoln attempts to bring peace to the country and also seeks to pass the 13th Amendment to abolish slavery, despite opposition within his own party. Review: A very real and powerful account of arguably the greatest president that the United States of America has ever had. This film brings us the final months of the Presidency of Abraham Lincoln. Within it he must fight his battle to end the Civil War and bring about the emancipation of the slavery. The war must have reached its conclusion before the amendment goes through and a failure to achieve these goals would have had dire consequences for the USA. The collaboration of Spielberg along with Producers Kathy Kennedy and Tony Kushner gives us the battle and ultimate achievement of Abraham Lincoln, the successful passing of the emancipation of slavery. An initial plan developed by Kushner proposed the film focused on Lincoln’s political life as a whole. Yet Spielberg chose instead to focus in on the final two months of Lincoln’s presidency. 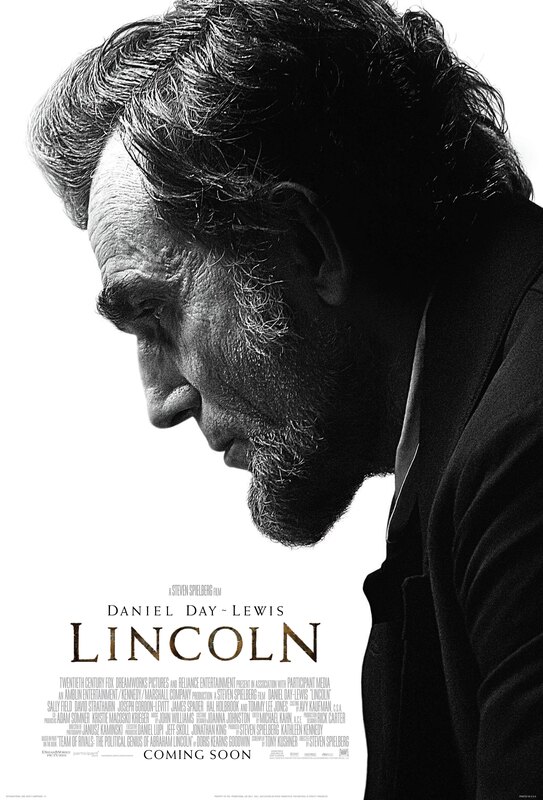 The film brilliantly depicts the difficult path that lay before Lincoln in getting the amendment passed and how the brilliant Lincoln dealt with these obstacles. His great speeches and political charisma are on show in abundance, and his determination to pass through the legislation that made Lincoln one of the greatest presidents in the history of the United States. In spite of the fact that the main role was initially offered to Liam Neeson while the film was in early development, Daniel Day Lewis in the role was quite simply President Lincoln personified. His accent and look was absolutely excellent. When Lincoln spoke, the whole room stopped whatever what they were doing and they listened to a great man speak. His stories and speeches were wonderful to listen to. Equally impressive in his supporting role was Tommy Lee Jones as Thaddeus Stephens. An argumentative Republican Congressman and strongly believes in the equality of all and vehemently backs the passage of the amendment. Sally Field is also superb in the role of the First Lady Mary Todd Lincoln. All three were fully deserving of Oscar nominations and Day Lewis scooped the award for Best Actor, becoming the first man to win this award on three occasions. The rest of the supporting cast were all excellent in their roles. While it is in no doubt that this film is very well done, there is a tremendous amount of talking throughout. While this dialogue is very interesting and offers great insight into a fascinating piece of history, it can at times feel a little tedious. For Americans, this film would be of great importance to them as it represents one of the most important chapters in their history. For non-Americans, it may not appeal to them as much. Nevertheless Spielberg has produced another personal and wonderfully directed film that was acted perfectly. It ensured Daniel Day Lewis made Academy Award History and reminded everyone of the reason why Abraham Lincoln is revered as one of, if not the greatest president that the United States has ever had. Day-Lewis is on incredible form as Lincoln, and Spielberg is also on superb form as he delivers a very compelling account of a very important era in the history of the United States. Excellent review, still need to see this film.